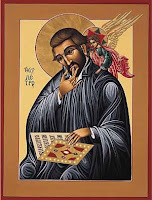 Peter Canisius was born in Nijmegen, though a Dutch town today, was at the time of his birth in the ecclesiastical province of Cologne, had the rights of a German city. Hence both Holland and Germany claim him as their son. His father, a Catholic and burgomaster of Nijmegen, sent him at the age of fifteen to the University of Cologne where he earned a master’s degree in 1540. He changed his original plan to remain at the university and studied theology when he heard about a newly-founded religious order, the Society of Jesus. One of its founders, Fr Peter Favre, was then in Mainz. Canisius traveled there to meet him, who recognized Canisius’ potential and agreed to lead him through the 30-day retreat known as the Spiritual Exercises. During the second week of the retreat, Canisius decided to join the Society and Fr Favre accepted him as a novice on his 22nd birthday. Canisius returned to Cologne, finished his studies in theology and was ordained in 1546. Prior to his ordination, he taught Scripture and published new editions of texts of Cyril of Alexandria and Leo the Great. He also served as theological consultant to Cardinal Otto Trushess at the Council of Trent before he took up Fr Ignatius’ assignment to teach in the very first school the Society founded in Messina, Sicily. In 1549, Pope Paul III asked him to return to Germany to head an effort to defend the Church against the attacks of reformers. Fr Canisius’ challenging mission was to halt the defections of Catholics and win back those who had left the Church. Fr Canisius started in Ingolstadt, Germany where he began teaching at the university as well as devoting great efforts to preaching so that he could explain the fundamental truths of Catholic teaching from the pulpit. His work had an immediate impact on Catholics there. Fr Canisius was equally effective with Catholics in Vienna, Prague and Fribourg, using the pattern he adopted in Germany. He also founded seminaries and colleges and took on duties as an educator and a court preacher. In Vienna, Fr Canisius developed and produced his famous book, his Catechism, titled Summary of Christian Doctrine which later became Germany’s and Austria’s most popular book because it satisfied a most urgent need and provided questions and answers especially to topics disputed by the Protestants. This book was intended as a manual for college students and later adaptations were published for secondary and primary schools. As the first provincial of Germany, Fr Canisius made a huge contribution to Jesuit Governance in Swabia, Bavaria, Austria and Hungary. He visited Jesuit houses, supervised expansion and made the Society of Jesus a leading force in the Counter Reformation. He also took part in ecumenical gatherings such as the one in Regensburg and returned to the Council of Trent in May 1562. Fr Canisius continued as provincial for fourteen years and later devoted his time to writing and preaching until poor health forced him to stop. Fr Canisius lived a full life and died peacefully at the age of 76 in Fribourg, Switzerland. He was canonized by Pope Pius XI on May 21, 1925 and declared a Doctor of the Church in recognition of his writings in defence of the faith.